Sedan is a town on the River Meuse in the Department of the Ardennes, close to the Forest of the Ardennes, and some 24 kilometres south-east of Charleville-Mezieres. 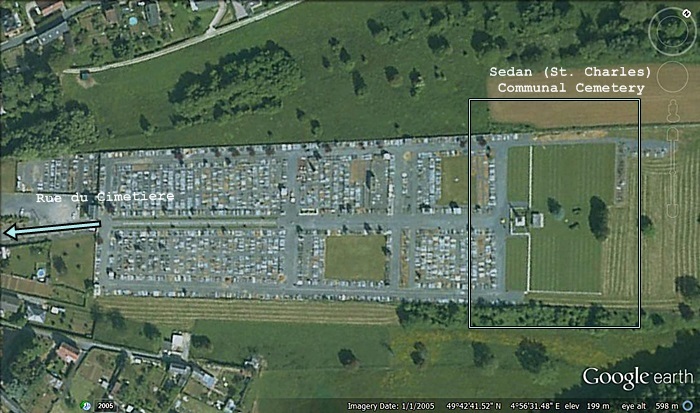 Sedan (St. Charles) Communal Cemetery is on the north side of the town. 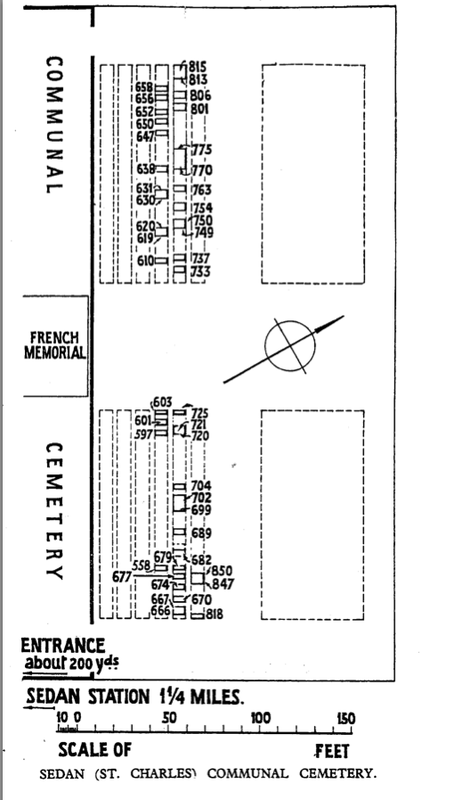 It is about 2 kilometres from the railway station in the direction of Floing, after passing the hospital, on the road called Rue du Cimetiere. 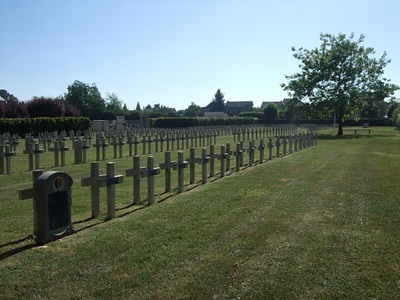 The Register and Visitor Books are available at the Town Hall, Demography Section which is open Monday to Friday from 8.30am to 12.30 pm. 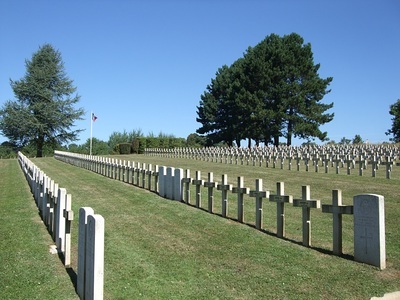 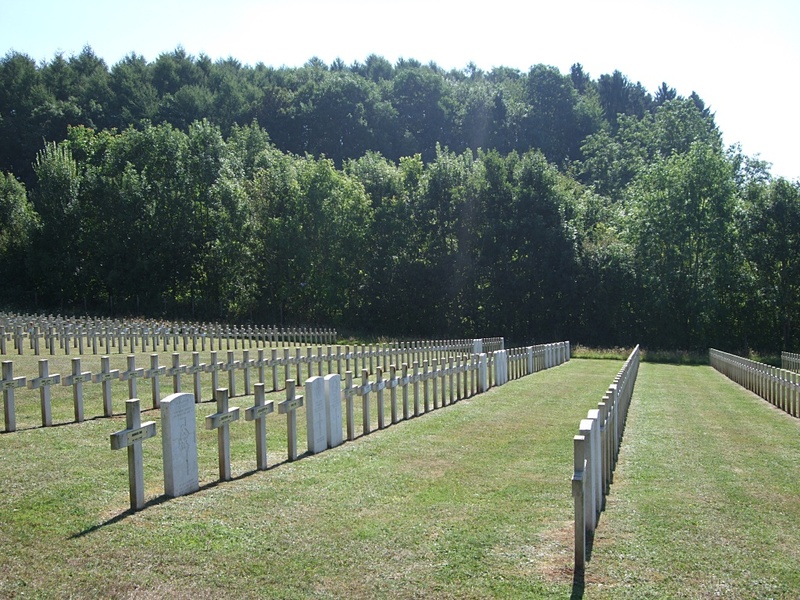 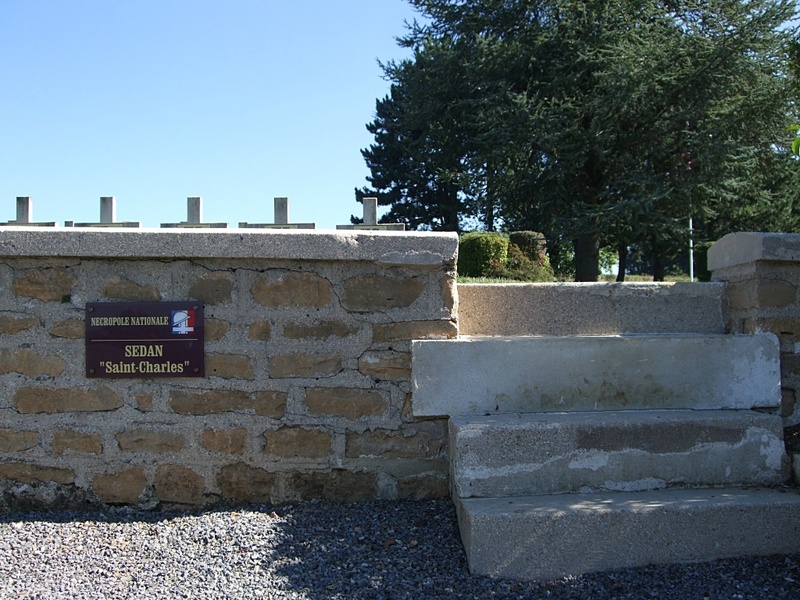 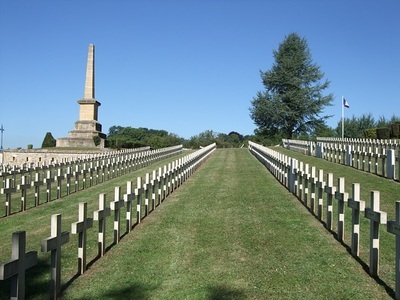 Sedan (St Charles) Communal Cemetery contains 50 Commonwealth burials of the First World War. They are at the north end of the cemetery in a plot also containing French, Russian and Rumanian war graves, and those of almost 700 "victimes civils". 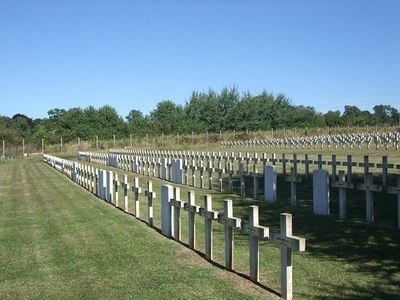 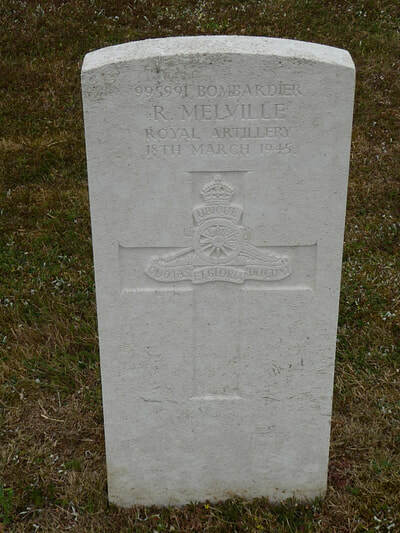 The cemetery also contains one Commonwealth burial of the Second World War. Casualty Details: UK 50, Total Burials: 50. 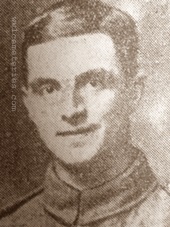 Son of Sarah Jane Curdiff (formerly Dickinson), of Spring Cottage, Moor Bottom, Padiham, Burnley, and the late Hartley Dickinson.